Around 6,000 Americans per year died in pedestrian accidents in 2016 and 2017, according to a 2018 release from the Governors Highway Safety Association (GHSA). These are higher numbers than we have seen in the last 25 years. In its recent report, the GHSA analyzed preliminary data from all 50 states and the District of Columbia (DC). That data showed a 22 percent increase in the number of pedestrian deaths in Washington. While being careful not to say there is a definite link between increased cell phone use, legalization of recreational marijuana, and an increased number of walker deaths, the paper did note a linkage between these factors. According to the report, cell phone usage jumped by 236 percent between 2010 and 2016. In the seven states that legalized recreational marijuana—which are Washington, Alaska, Maine, Colorado, Massachusetts, Oregon, and Nevada—there was a 16.4 percent increase in the number of pedestrian deaths in the first half of 2017. All other states had a combined 5.8 percent decrease in pedestrian fatalities. Is There a Link Between Cell Phone Use, Legalized Marijuana, and Fatal Pedestrian Accidents? The rate of pedestrian deaths varies during the year, so what occurs in the first half of the year will not necessarily match what happens the last six months. Even though this preliminary data could suggest a link between legalized marijuana, cell phone usage, and pedestrian deaths, these numbers could shift dramatically in the final report. In fact, the study authors admitted that when all the numbers are in, they expect the pedestrian fatalities for 2017 to be lower than in 2016. How Common Are Pedestrian Deaths in States With Legalized Recreational Marijuana? Of the seven states with legalized recreational marijuana, only Nevada ranked among the 10 deadliest states for pedestrians in 2016. This state, which is also a popular tourist destination, was sixth on the list, behind New Mexico, Florida, South Carolina, Arizona, and Delaware. Oregon ranked among the top 20 states with the highest rates of fatal pedestrian traffic accidents. Nevada ranked above the 2016 national average, which was 1.92 deaths per 100,000 people. Is the Number of Cell Phones Relevant to Statistics on Pedestrian Deaths? The report says the number of cell phones in use in America more than doubled from 2010 to 2016. The dangers of driving while distracted are well known, but many pedestrians are unaware that distracted walking can be dangerous, too. 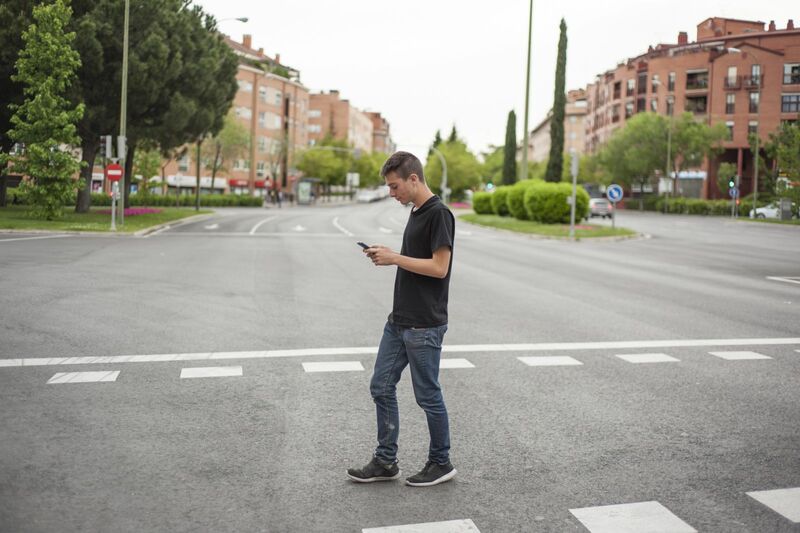 While the final data from the GHSA will offer a more complete picture of the link between cell phone usage and pedestrian deaths, walkers should pay attention to their surroundings. If a distracted pedestrian is in a traffic accident, they could be at fault for the crash. What Else Can Increase Pedestrian Fatalities? The number of miles people are driving. The report concedes that more people are walking and that those who are driving are driving more miles than before. As motorists drive more miles, they create more opportunities to collide with pedestrians. More people on foot also means there are more potential victims if an accident occurs. These factors could partially explain the increase in pedestrian fatalities. What Can I Do If I Was in a Pedestrian Accident? At Max Meyers Law, we devote ourselves to helping people who suffer injuries in motor vehicle crashes and pedestrian accidents. If someone else caused your accident and your injuries, you might qualify for compensation for your damages. Call us today at 425-399-7000 for a free consultation about your case.